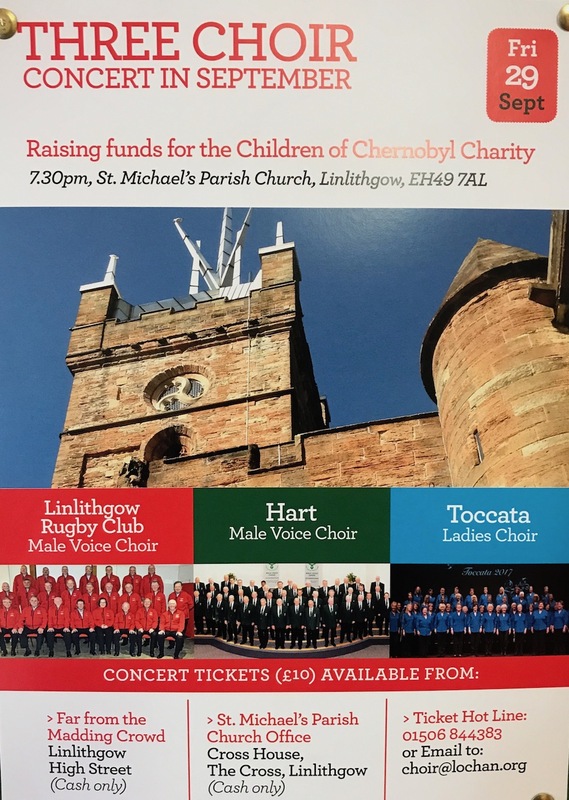 Our Male voice Choir is teaming up with Hart Male Voice Choir (visiting from Hampshire) and Toccata Ladies Choir (Livingston based ) for a Concert in aid of the Forth Valley Group of the “Friends of Chernobyl’s Children” registered charity. The Concert will be held in Linlithgow, at St. Michael’s Parish Church, starting at 7.30pm. Please go along to support the guys, a very worthwhile Charity – and enjoy a wonderful choral programme provided by three excellent Choirs.